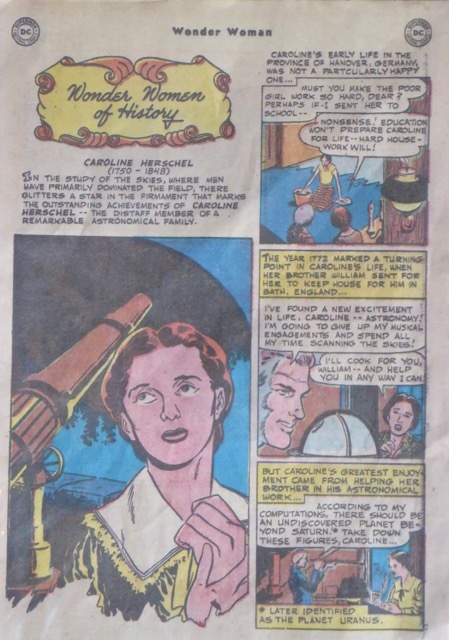 Last weekend whilst visiting the fascinating Herschel Museum in Bath I spotted these pages (below) from an old DC Wonder Woman comic book about the life of Caroline Herschel. 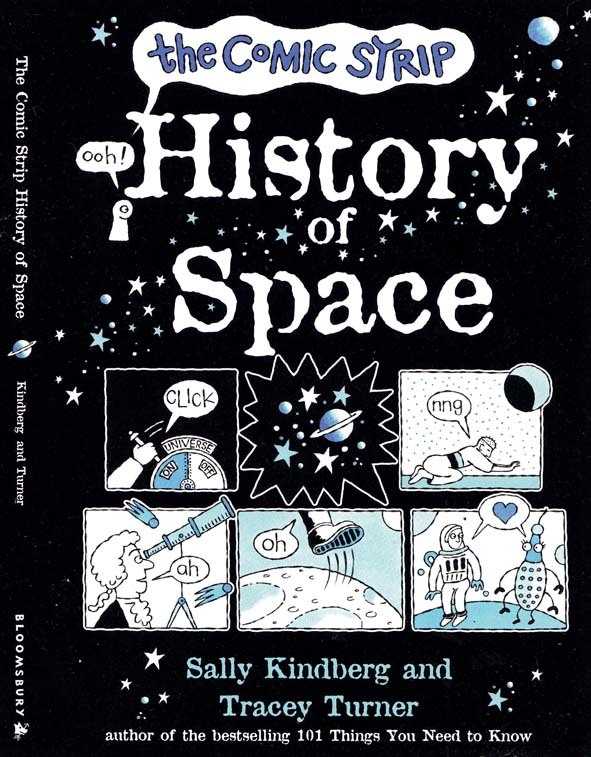 I knew something about Caroline and her brother William from illustrating The Comic Book History of Space, published by Bloomsbury Childrens Books . 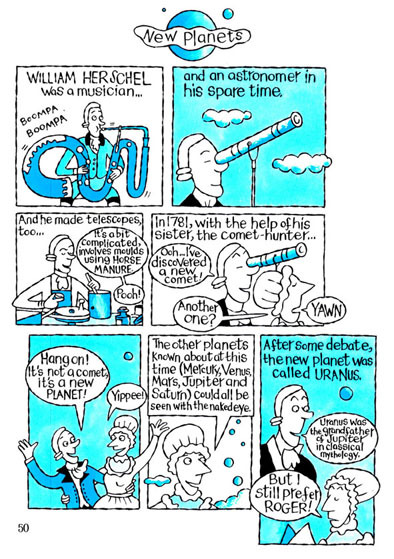 Caroline Herschel was born in Germany in 1750. After a childhood illness affected her growth and therefore, according to her family, her chances of finding a husband, she joined her brother William in Bath to be his housekeeper and helper. 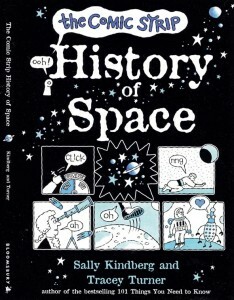 Later, after William’s marriage, Caroline became famous in her own right, discovering three nebulae and eight comets. 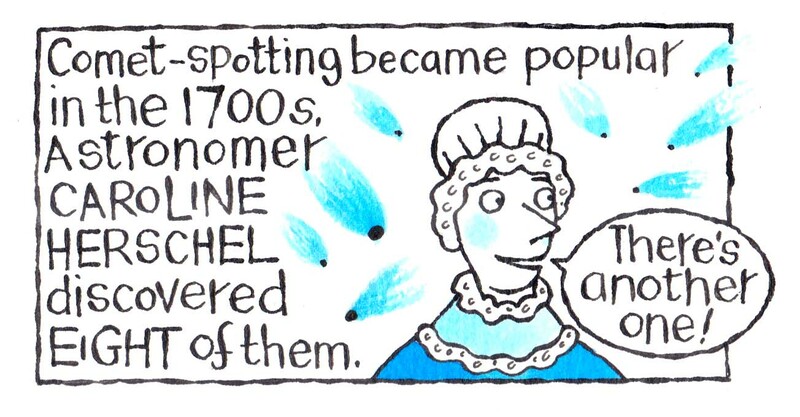 She has a comet and a lunar crater named after her. 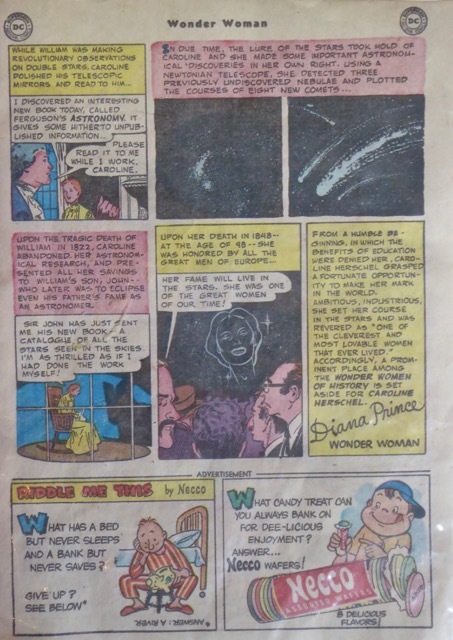 This entry was posted in Books, Comic strips, Travels and tagged Bath Museums, Bloomsbury Childrens Books, Caroline Herschel, Comic Strip History of Space, comic strips, DC comics, Herschel Museum, William Herschel, Wonder Woman. Bookmark the permalink.